The team at Trail and Ultrarunning have been testing and reviewing several different products from UltrAspire. 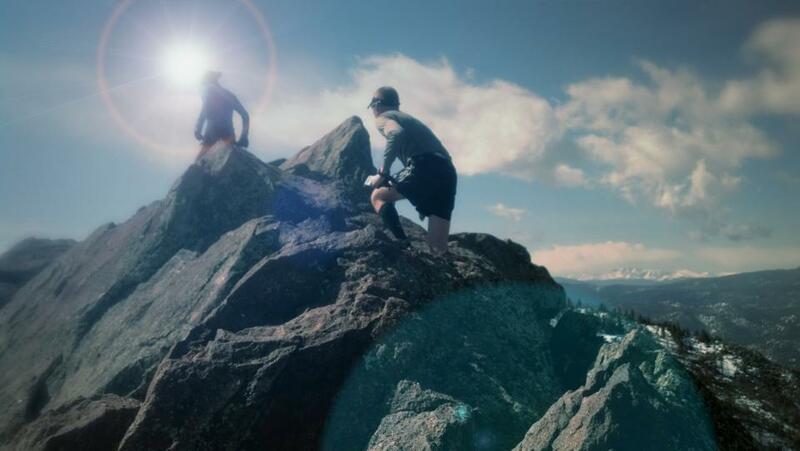 We appreciate the company motto, “inspired products for ultra athletes”. 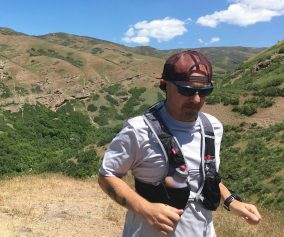 The UltrAspire “Ribos” is a harness system that is designed for long distance trail runners who want a lightweight setup with access to large handhelds. 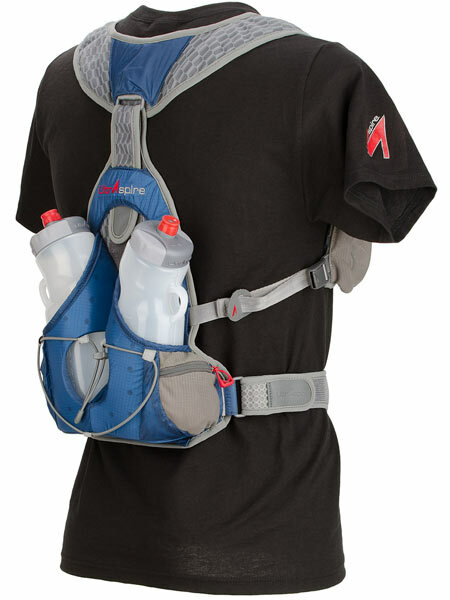 The front of the pack is the same as the UltrAspire race vest but integrates with a belt system for various personalized modifications. 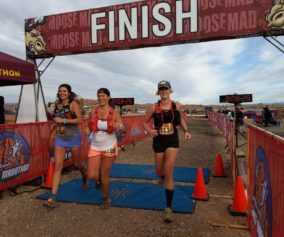 There are obvious benefits to carrying handhelds rather than a hydration bladder – it can often mean saving time at aid stations and accurately measuring hydration intake through the clear bottles. Pros: The overall construction of the Ribos is excellent. The mesh, snaps, and fabric are all quality materials. 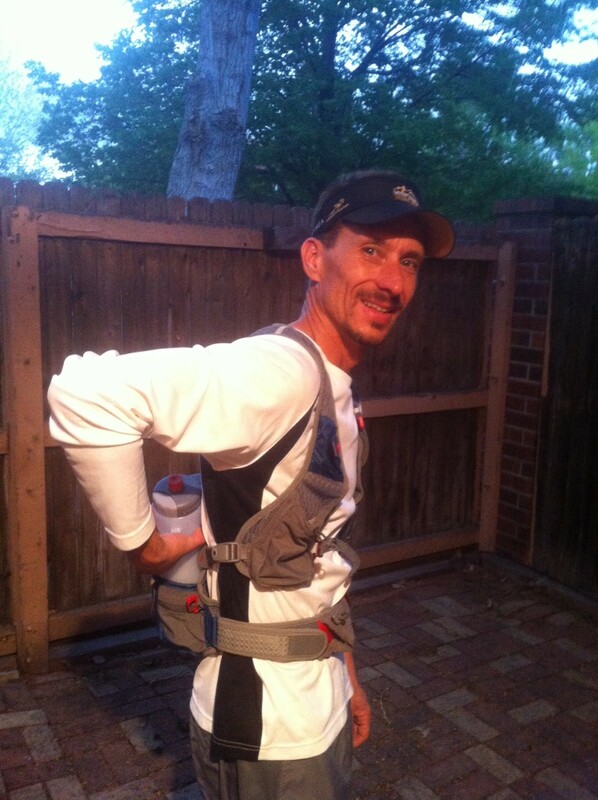 I was able to move my arms freely while wearing the pack and felt no rubbing anywhere around my arms or shoulders. 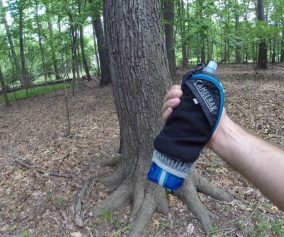 The included UltrAspire handheld bottles are pretty awesome. They lock open or closed and have an angle in the top of the bottle that makes it a bit easier to drink while running. Cons: The access to the bottles was challenging for me. The waist belt moved up on my abdomen and became uncomfortable at times. I had one of the bottles bounce out of the pack while running. Pros: It’s definitely lightweight. I had no issues with the weight, even while carrying both bottles at full capacity. 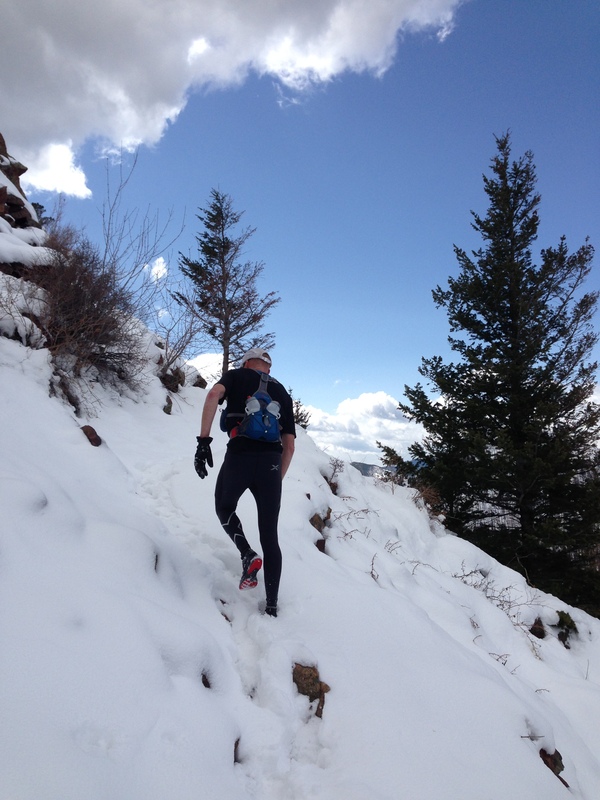 Pros: The materials and fabric are consistent with all the other UltrAspire products. They are well-designed and built to last. Sometimes you can just feel quality by holding something and pulling and tugging at it. The locations on the pack where you would expect more wear are thicker and reinforced for the bouncing and jostling of trail running. I had no problems with ripping, tearing, or breakage. Pros: I normally carry two handhelds on long runs. The two 26oz bottles are more than enough for most runs in my opinion. Cons: The storage and pockets do not allow for carrying much in the way of food, clothes, or other items. Small items fit in the pockets but you have to be very clever about finding a place for larger items like a jacket, granola bars, or electrolyte powder. 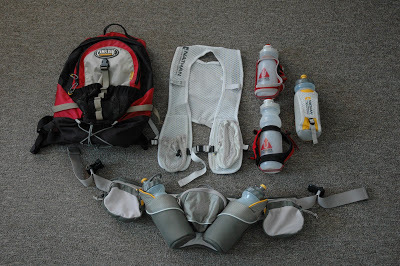 Note: The waist-belt on the Ribos can use any of the UltrAspire MBS Connector belt offerings, giving you flexible storage options. This review was done using the Atom MBS Connector. Pros: It moves well. 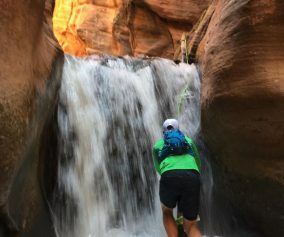 I felt more free in the arms than I ever do with a backpack-style hydration pack. 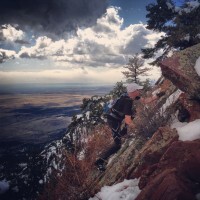 I have to climb a lot of rocks in Boulder for trail runs. I was able to reach up and pull myself over the boulders without any issues. I am sometimes constricted by other hydration packs while doing this. Cons: The belt kept moving up from my waist to my stomach area. This affected my breathing at times. I am not sure if this was due to my height or abdomen length. Unfortunately, this was annoying and required regular adjustment. I was eventually able to manipulate the straps in a way to make it more comfortable. Note: The Ribos does have a torso adjustment feature that allows up to 5″ of adjustment to account for longer/shorter torsos. Also, as this uses the MBS Connector system, be sure to check the sizing guidelines for a proper fit. 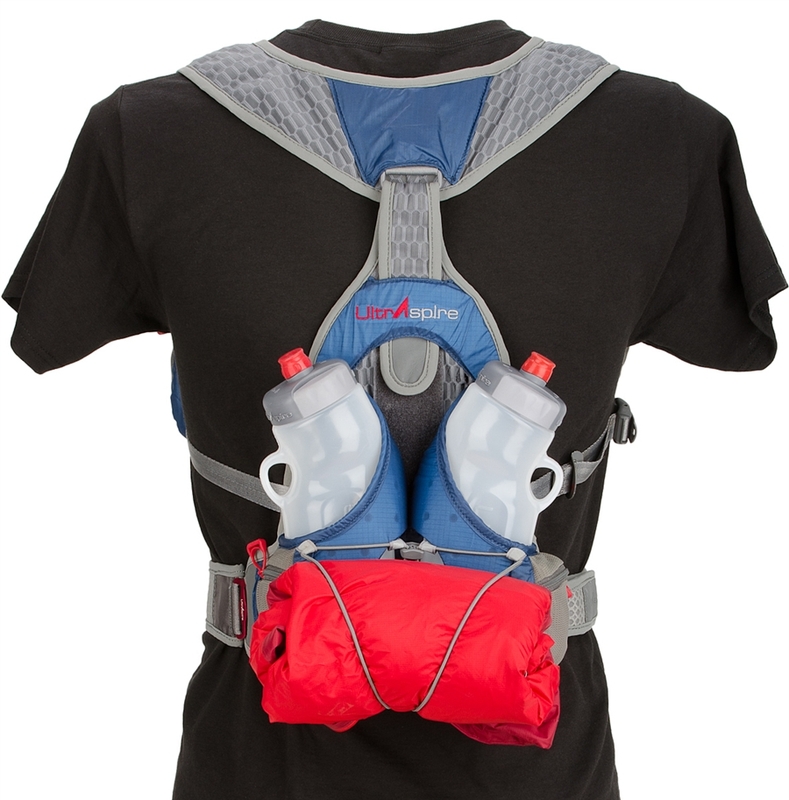 Depending on fit, I think this is a great pack for those who are looking for a lightweight harness system with the flexibility of handhelds. This is a system that is definitely individual. 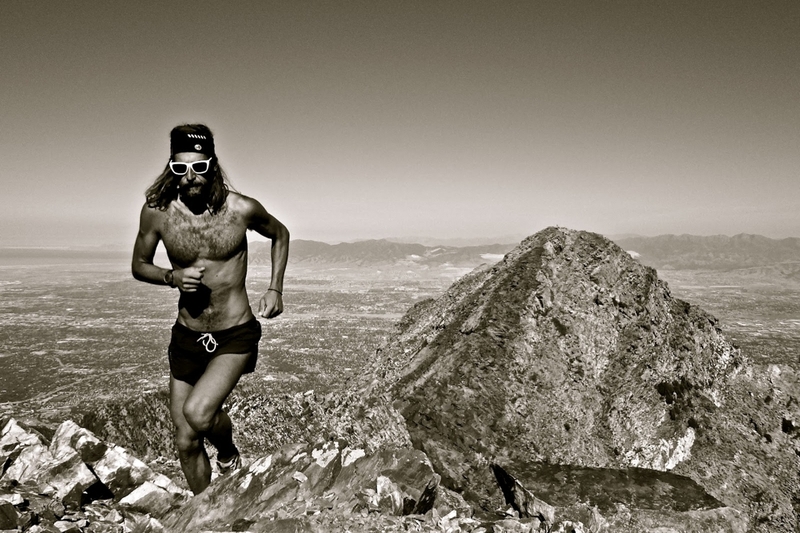 There are so many ways to carry fluid on the trail. I think there are runners who will really enjoy the design and functionality of the Ribos. Like so many other things in ultra, it’s about experimenting and seeing what works for you. Pros: The waist strap distributed weight on my waist and not just the shoulders. I like the magnetic pockets for storing electrolytes. The bottles are easy removed for quick access. I like the size of the bottles included with the pack as well. 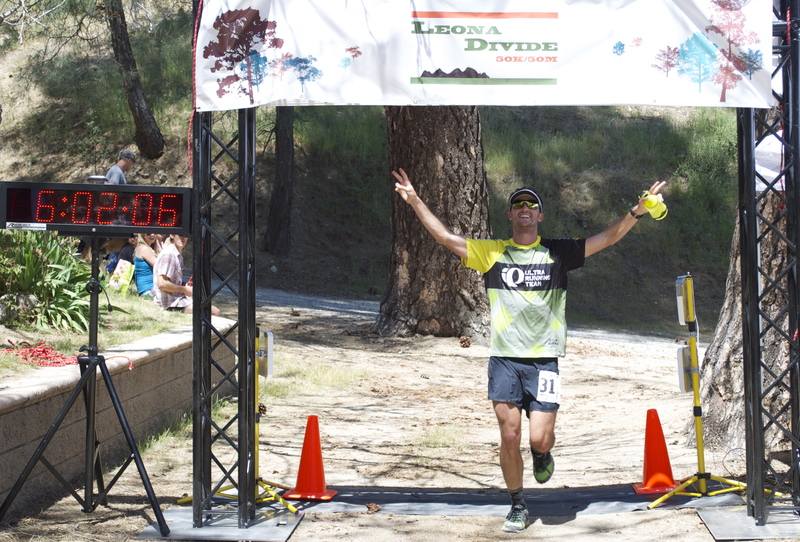 The idea of distributing weight over the mid section in addition to the shoulders is a great idea, especially when considering the idea of running 100 miles. Cons: It doesn’t have enough storage for clothing. Pros: Being a small person, lighter packs are always better. It’s lightweight for it’s ability to carry two 26oz bottles. Pros: The Ribos doesn’t seem like it would fall apart easily. I’m sure it will last several seasons. It is well constructed. The stitching holds up when dropped and dragged. I like the construction of the pack. Pros: It holds two 26oz bottles. It also has additional pockets in the front for an additional 16oz bottle. With regard to fluid, this pack holds a lot. Cons: For me, I think I would struggle storing enough food and calories in this pack. There is zip pocket on the front where you could fit larger food items, but if you max out the capacity of the fluid, there is not enough space for extra food. Having said that, the belts are interchangeable so you could possibly increase the overall capacity by doing this. Pros: The width of the shoulder straps, even on a small frame, fit well. Cons: I just really struggled to get the waist strap to stay on my waist. I had to stop on several runs and try and adjust the height of the pack from the rear but I could not get the waist strap to stay down. I’m convinced if I had a belly, it would stay down (laughs). 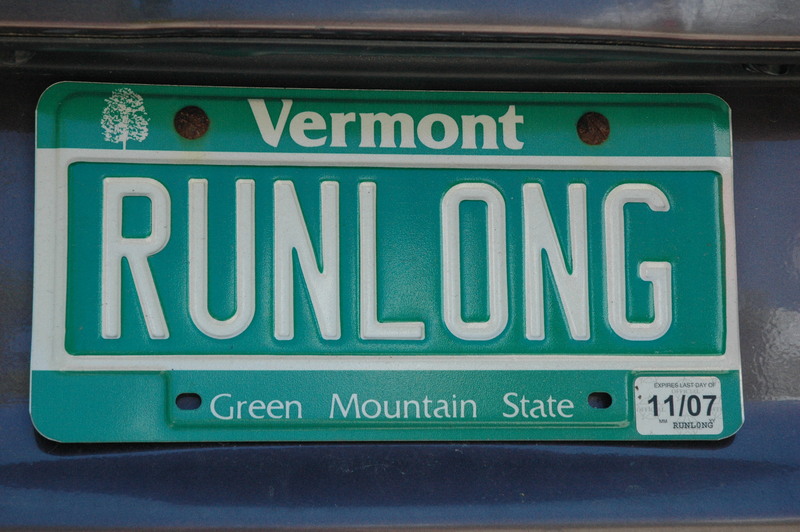 The water bottles were easy to get in and out, even while running. The zipper compartments are easily accessible on the run, even one-handed. 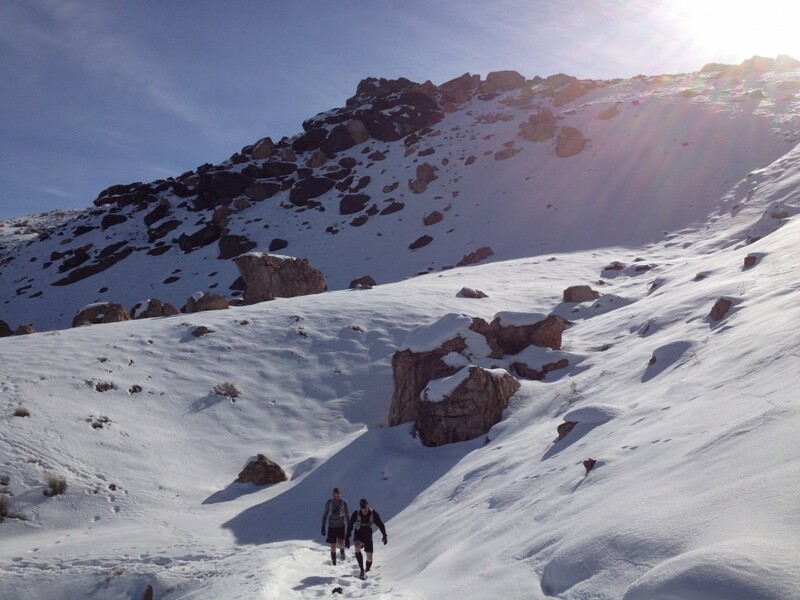 UltraSpire provided the Ribos for product review. It is available for purchase at http://www.ultraspire.net/ and retails for $134.